At last. 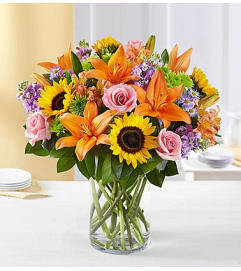 A large and lovely bouquet that says it all (and then some). 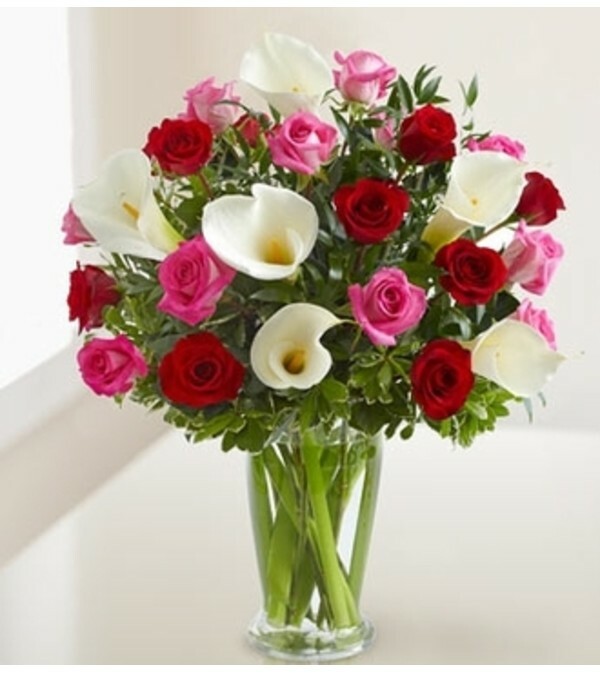 Passionate red roses, romantic hot pink roses, and stunningly beautiful white Calla lilies, hand-designed in a premium clear glass vase. Couldn’t have said it better ourselves. Luxurious arrangement of long-stem red roses, hot pink roses and Calla lilies, accented with Italian ruscus and variegated pittosporum. 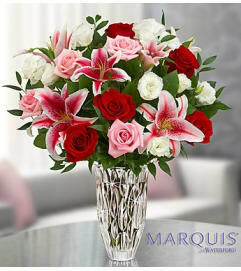 Artistically designed by our expert florists in a premium clear glass vase.